Smaller focus: GE plans to zero in on three main industries—aviation, health care, and power, reports the Wall Street Journal. Think jet engines, medical imaging equipment, and generators. It will shed other subsidiaries and lay off 25% of its corporate staff, or about 1,500 jobs at its headquarters in Boston. The board is shrinking from 18 to 12 members. No more lighting? The historic lighting unit is among those likely to be pared, though final decisions await, reports the AP. 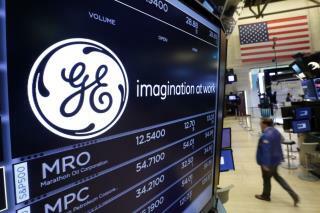 In all, GE plans to shed $20 billion worth of units in the near future. The railway locomotives unit also is expected to go, and the company may ditch its newly purchased stake in oil and gas giant Baker Hughes. Worst day in years: Shares fell 7.2% on the news, making for GE's worst day on the market since 2009, reports CNBC. The stock was trading at a shade over $19 at the market's close. "The cut... is to free up money to help with the company's transition into a leaner entity, says new CEO John Flannery" I wonder how much of a cut he put to his own salary and bonuses.